Already in the midst of the most significant expansion in the company’s celebrated history, Crystal Cruises’ next step in expanding its award-winning fleet is truly an historic endeavor. 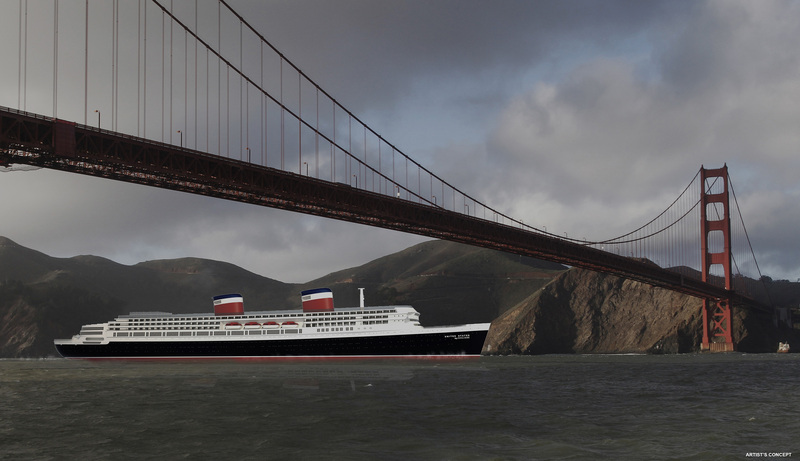 Together with the SS United States Conservancy, Crystal today announced it will save “America’s Flagship,” the SS United States, and embark on the enormous undertaking of bringing the ship into compliance with the latest standards, and returning her to oceangoing service. 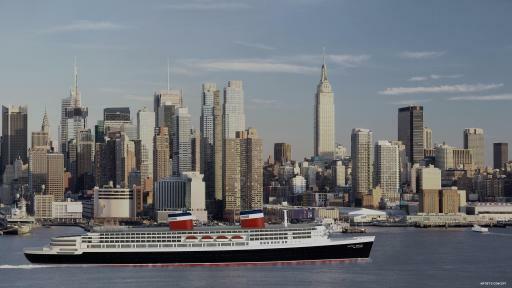 During the announcement, made at a press conference at the Manhattan Cruise Terminal in New York City, Crystal also committed to covering all costs associated with preserving the ship while undertaking a technical feasibility study, which is expected to be completed by the end of 2016. 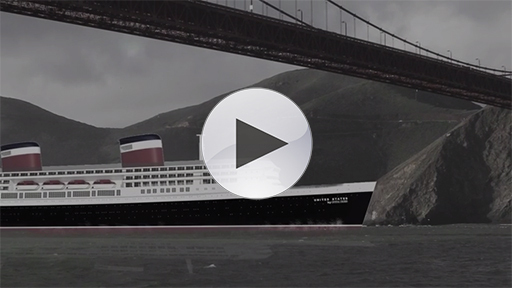 The epitome of American post-war innovation and design, the SS United States was launched in 1952 and captured the transatlantic speed record on her maiden voyage – a record to this day that still stands. 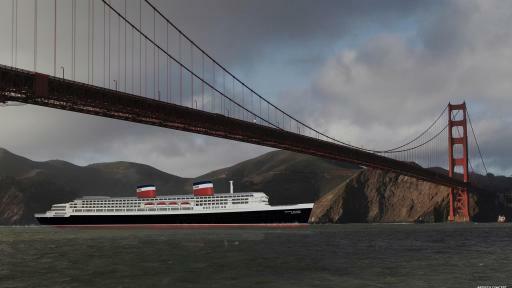 She remains the largest passenger ship ever designed and built in America. 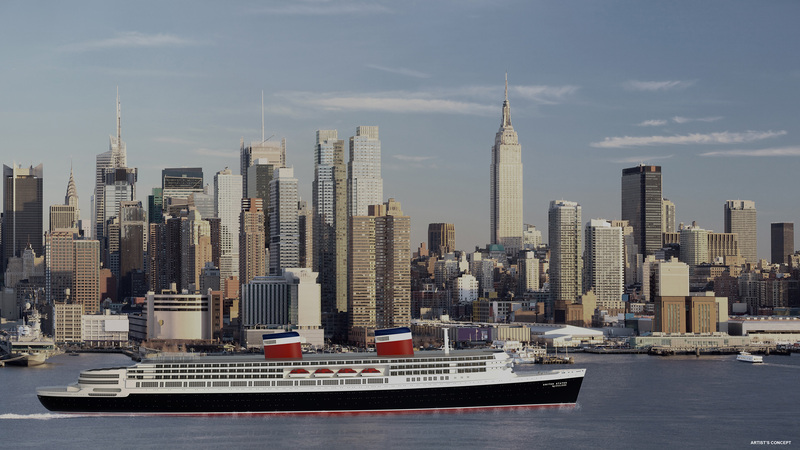 Before her retirement in 1969, the SS United States was the most glamorous and elegant ship in the world, having transported four U.S. presidents, international royalty, many of Hollywood’s “golden era” celebrities, as well as a million passengers. 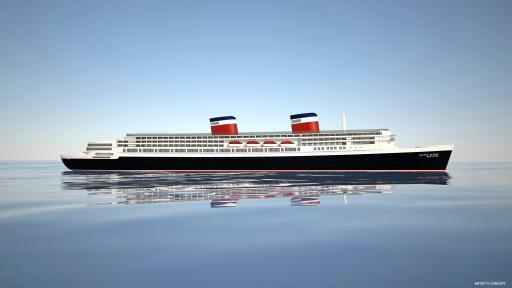 While the ship captivated travelers with its features and elegance, the ship’s origin was equally intriguing. She was designed as part of a top-secret Pentagon program during the Cold War, which stipulated it could be quickly converted from a luxury liner into a naval troopship in the event of a war, carrying 15,000 troops with a 240,000 shaft horsepower propulsion plant capable of traveling 10,000 nautical miles – almost half way around the globe – without refueling. 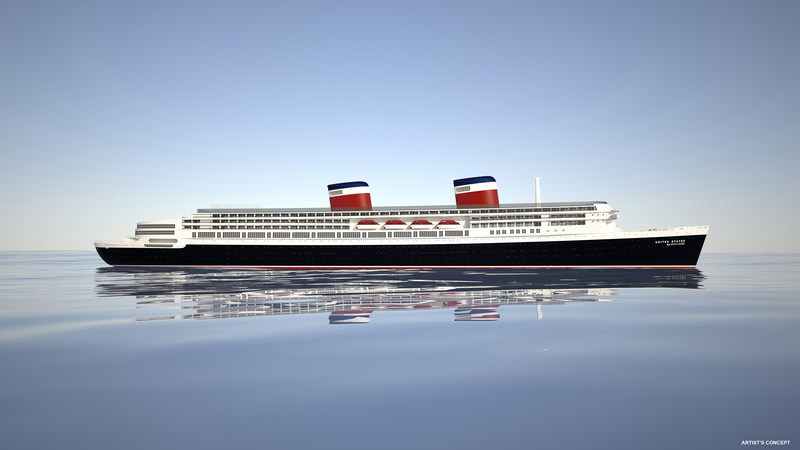 In October 2015, the SS United States Conservancy’s Board of Directors announced that the persistent challenge of covering the vessel’s monthly expenses had compelled them to engage a ship broker to explore the potential sale of the ship to be responsibly recycled. This news resulted in an outpouring of public support worldwide and led to the Conservancy raising additional funds which enabled the organization to continue its preservation efforts and pursue negotiations with potential investors and partners. “The Conservancy could never have reached this momentous milestone without the lifeline provided by our supporters from across the country and around the world. Thousands responded to our SOS last October and they refused to give up the fight for America’s Flagship,” continued Gibbs. To facilitate the complex technical feasibility study and to ensure a smooth execution of the project, Crystal has appointed retired U.S. Coast Guard Rear Admiral Tim Sullivan to build and lead a team with a wide range of cruise line technical, legal and regulatory expertise. With 36 years of active service, Admiral Sullivan has extensive experience in ship operations as a Commanding Officer of numerous Coast Guard cutters, and over the years has engaged in high level of interaction with a myriad of U.S. government agencies and international regulatory entities. The Conservancy will continue to expand its curatorial and archival collections as it advances its mission of educating the public about the SS United States’ history. The organization will work with Crystal to establish shipboard displays and other educational programs. Planning is also underway for a land-based museum dedicated to preserving the legacy of America’s Flagship along with broader design, innovation, and discovery themes. 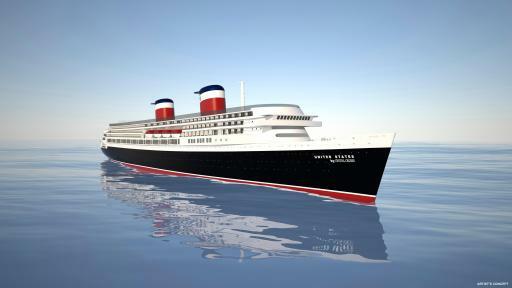 The museum will feature a wide range of original artifacts and historic components from the ship’s heyday. Crystal Cruises is the world’s most awarded luxury cruise line, having earned more “World’s Best” accolades than any other cruise line, hotel, or resort in history. Crystal Cruises has won “World’s Best Cruise Ship” in Condé Nast Traveler’s Reader Choice Awards for 22 years; been voted “World’s Best Large Ship Cruise Line” by Travel + Leisure readers for 20 consecutive years; and the “Best Luxury Cruise Line” by Virtuoso for two-consecutive years (2014 & 2015). 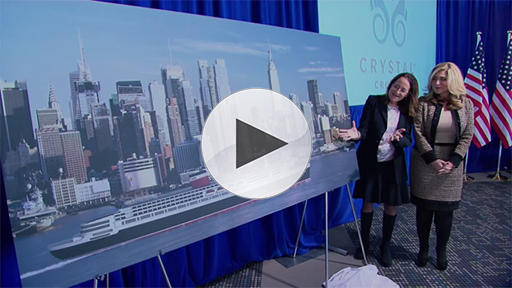 In summer 2015, Crystal embarked on the most significant brand expansion in the history of luxury travel and hospitality, introducing three new classes of cruising – the recently launched Crystal Yacht Cruises (December 2015), Crystal River Cruises (July 2016), Crystal Exclusive Class Ocean Cruises (late 2018) – and Crystal Luxury Air (March 2016). Visit crystalcruises.com for more information and join the thousands who follow the Crystal Cruises Facebook page and @crystalcruises on Twitter and Instagram to engage in the conversation with #crystalcruises.